If that's a Ronald McDonald toy you get for donating....God they must not want donations that badly. It's freaky looking!!! 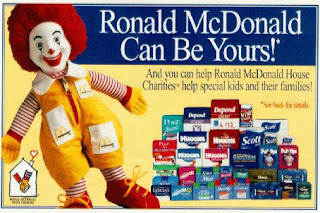 I've always thought Ronald McDonald himself was creepy enough. This takes it to a whole new level.